Portugal is not only the land of sunshine, azure blue sea and piri-piri chicken, but also a must-have destination for any traveler with a passion for great food and marvelous weather while exploring one of Europe’s most remarkable capitals. Portugal has one of the warmest climates in Europe with over 3,000 hours of sunshine per year making it a favored place for destination weddings. Portugal is offering a wide variety of gorgeous locations for international weddings. The Estoril-Cascais region of the Lisbon Coast with a hint of history is recommended for couples who prefer a cosmopolitan lifestyle. The Algarve is often the best choice for those who have a more active way of life with golf and beach. The province has many beautiful Catholic churches, beaches and sea view terraces, cliffs, private villas and marquees with marvelous gardens throughout the Algarve, where you can hold your ceremony or reception. The Sintra region on the Lisbon Coast is the favorite option for history, splendor and vintage style, with venues like Moorish Castle and The Quinta being extremely popular. April, May and June are the best months to get married on a beach in Portugal. Being very mild during the low season, flights and accommodation are really affordable and the beaches aren’t crowded, yet, the top spots aren’t flooded by armies of tourists. The summer holidays run from July to September, with bigger local crowds, more tourists and higher prices, these are the hottest months, as well. October is a marvelous month for weddings, with perfect temperatures and more affordable prices again. November brings the summer back again a bit, still not late for weddings. You can organize a wedding for 85-100 people between 15,000 euros and 25,000 euros in Portugal or Lisbon, which is quite affordable compared to prices in Western Europe or the Americas. Expats can only marry in Portugal according to Portuguese law. There’s no legal residency requirement for weddings but at least the bride or groom must have lived in Portugal for a minimum of 30 days. The Portuguese authorities require valid passports and both of you must provide copies of your birth certificates. A non-impediment certificate must also be presented. Civil ceremonies take place at the Civil Registry Office. If you don’t speak Portuguese, you might need a good translator, as well. Religious ceremonies in Portugal are legally recognized. For a wedding in a Roman Catholic Church you have to provide baptismal records. Once you get approval, your wedding has to take place within three months. Settling all the paperwork might cost you between 150 euros and 250 euros. Every document must be presented in Portuguese language so you should find a good translator, either in Portugal or in your home country. Many priests speak English and will be pleased to perform your ceremony. However, a Catholic ceremony may only be conducted inside a church. 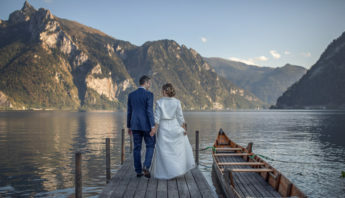 If you plan your destination wedding in Portugal, you can also get legally wed at home and head off to Portugal for a symbolic ceremony or blessing. The fee of a wedding celebrant is around 350 euros in Lisbon and Portugal, ceremony setup might be an additional 500 euros. The venue rental fee usually takes the biggest chunk of wedding budgets. While some venues have a flat rate, other venues charge per person. Top venues on the Lisbon Coast charge between 30 and 40 euros per person with a minimum fee to open the doors. A quality catering service including cocktail hour reception, a four-course seated dinner, wine and water, free drinks during the whole event including open bar after the reception averagely costs 120 euros per person, we are in the range of 50 and 150 euros for catering. Wedding menus usually include unlimited wine and some venues also have an open bar for set periods in Portugal. For an average wedding spending between 8,000 and 12,000 euros on catering with a buffet-style menu (copo-d’água) including the venue rental is totally normal. Wedding cakes cost 300 euros on the average, except if you pay a flat price for the catering and venue rental. Flowers and wedding decoration with table centerpieces and candles start from 200-400 euros in Portugal and can go up to 3,000 euros. Your expenses really depend on the size and type of flowers, seasonal flowers are always cheaper. Bridal bouquets cost 100 euros on the average, however bridesmaid also might need bouquets and these cost an additional 50 euros per piece. 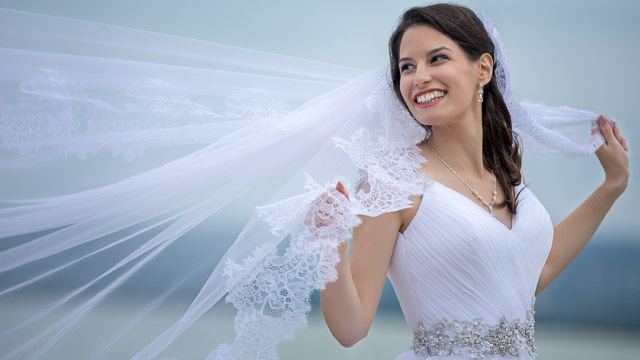 Wedding dresses are in the range of 1,000 and 2,500 euros in Portugal, but you might need to spend another 500-800 euros on accessories, like bridal shoes, watches, hair accessories or lingerie. 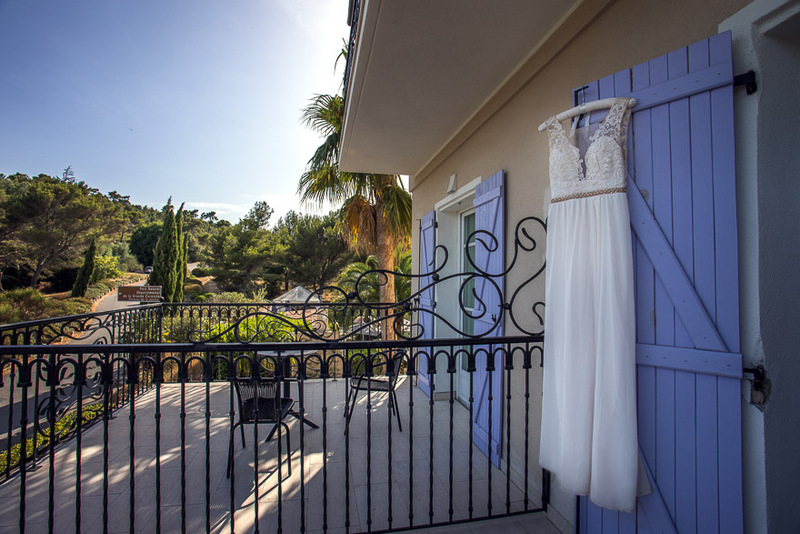 Wedding dress rental is a good option to save some money here. 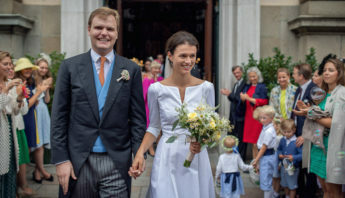 Groom apparel cost less, between 300 and 1,200 euros. 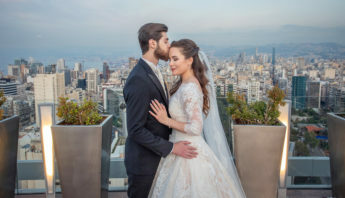 Beauty services, professional hair and makeup for the bride start at 200 euros in Portugal and your total cost might reach 500 euros, depending on the complexity of the chosen hairstyle. Quality wedding photographer prices for the whole day in Portugal start from 1,500 euros. Weigert Images also offers wedding photography in Lisbon and Portugal at really good rates, please feel free to contact us. Wedding films cost about the same amount as wedding photography, but in case of two cinematographers, higher rates apply. Please, contact us to know more about Weigert Images’ wedding cinematography services in Portugal. Hiring a DJ with pro equipment, including speakers, microphones, disco lights and sound system might cost up to1,000 euros in Portugal, with prices starting from 500 euros, when they work only in the evening. If a live band or orchestra plays music at your wedding, it is a bit more expensive, though. In case you want to take dance classes, you have to spend around 300 euros on it. Engagement rings are usually between 700 and 1,500 euros while wedding rings are usually between 300 and 600 euros in Portugal. You might spend 200 to 600 euros on souvenirs and invitation letters, though you can save a lot if you choose DIY. Invitation letters usually cost 2-4 euros per piece. Renting an oldtimer wedding car costs around 150 euros per day. If you also need a driver you have to fork out an additional 450 euros. In some cases you also have to take care of the transportation of your guest, which might set you back with an additional 200 to 300 euros. While you might easily spend 2,000 to 3,000 euros on your honeymoon and travel to a faraway exotic location, it is also an excellent solution to stay in Portugal and enjoy the sunshine in this beautiful country. Would you like more info on our wedding photography and wedding film services in Portugal? Please, contact us on this website.